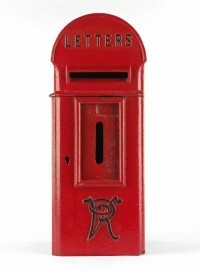 The Victorians, to facilitate dramatic social and economic growth, introduced a myriad of Victorian postboxes that are unusual postboxes, novelty postboxes, freestanding postboxes and individual postboxes. The Post Office dates way back to 1660 when it was established by Charles II. Under the guise of the General Post Office (GPO), it soon grew as an important organisation integral within the infrastructure of England during the seventeenth century. Just one year after it was formed, the postage date stamp was first used and the inaugural Postmaster was also appointed called Henry Bishop tasked with overseeing the GPO. As both the state system provider and telecommunications carrier, the GPO expanded across the British Empire from having an initial jurisdiction across just England and Wales; then for the whole of Great Britain. It was over 100 years later when the next significant milestone in the life of the GPO saw uniformed post men take to the street for the first time (1793). A key moment in terms of the developing infrastructure of the postal network came in 1829 when the first purpose-built mail facility was fully operational. Located in St Martin's Le Grand, EC2, the building designed by Sir Robert Smirke was 400ft long by 80ft deep. The invention of the adhesive postage stamp by Rowland Hill in 1837 was a key milestone for the Post Office and just three years later the Penny Black was established. As the first stamp issued anywhere in the world for sending letters the Penny Black Stamp remains iconic to this day and led to the introduction of the Post Office pillar box in 1852 (in Jersey) and upon the UK mainland in 1853 (Carlisle, Cumbria). 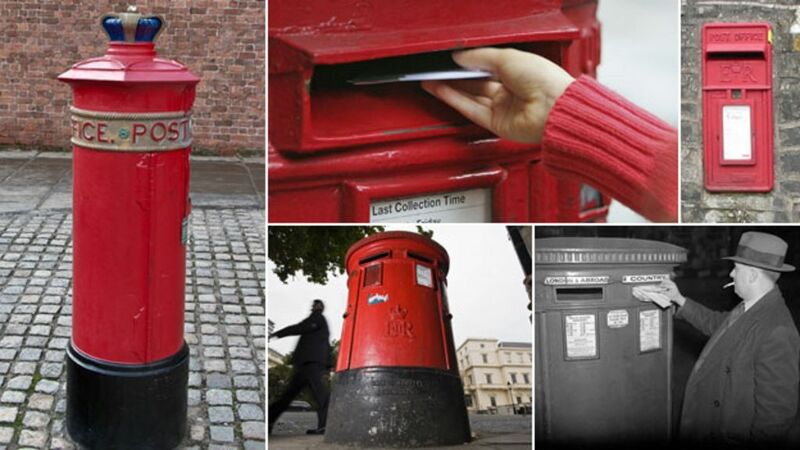 The first wall pillar box was introduced in 1857, painting every old postbox red and all new ones started in 1874, the first cylindrical pillar box was installed in 1879 and the first lamp postbox in 1896. It is interesting that in 1868 the first military links to the Post Office were formed as the 49th Middlesex Rifle Volunteers Corps, known as the Post Office Rifles came into being, made up of GPO employees. These initial military connections to the GPO played a pivotal role during the First World War 1914 to 1918. One of the UK's rarest letter boxes turns 150. But what is the future for the red emblem of the British streetscape? By the outbreak of the conflict in 1914, the Post Office employed over 250,000 people and nearly a quarter of these were enlisted with the army. As well as the 12,000 men who fought with the Post Office Rifles regiment, some 35,000 women were employed in temporary positions during the Great War as the GPO played a pivotal role in maintaining communications throughout the conflict. Meanwhile, the first oval sign was mounted on top of pillar boxes directing the public to the nearest Post Office in 1924 and in 1930 the first blue pillar boxes were introduced for airmail letters. 1969 was another milestone for the organisation as the GPO disappeared to become known as the Post Office for the first time. In the same year the savings bank offering of the Post Office was transferred to the treasury and re-branded to become National Savings. Postal distribution efficiency was significantly increased by creation of post-codes introduced five years later in 1974. From there the previous telecommunications arm of the Post Office disappeared in 1981 when the British Telecommunications Corporation was formed. The Post Office Ltd as it is known in its current form came into existence in 2001. Ten years later the Postal Services Act 2011 was significant in that it led to the Post Office Ltd becoming independent of the Royal Mail Group as of 1st April 2012. It was also in 2012 that 110 postboxes were painted gold to celebrate each Great Britain gold medal won in the London 2012 Olympics and Paralymics Games. 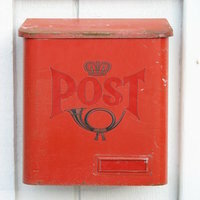 Exclusive at the PostBox Shop, you can now design and order your own letterbox. First choose a custom letterbox, choose a combination of colours to match your ideas, (building colour scheme, corporate or organisation colours, or just something unique! ), and we will ship your unique letterbox within 2-3 weeks. Select either a B110 letterbox or a Dome letterbox.